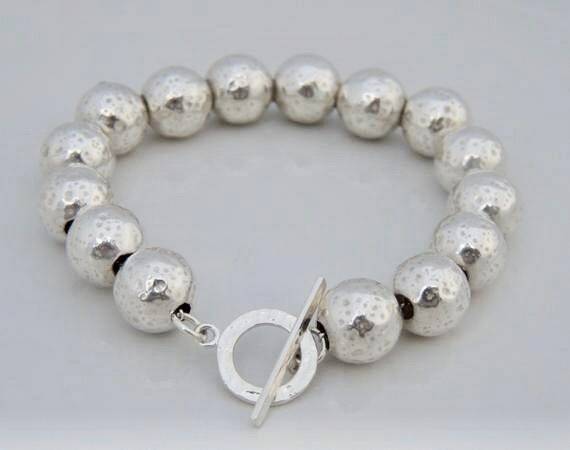 This beautiful sterling silver hammered ball bracelet is stunning! It features large 12mm sterling silver hammered beads strung on a durable sterling silver chain. Choose from toggle clasp or lobster clasp. 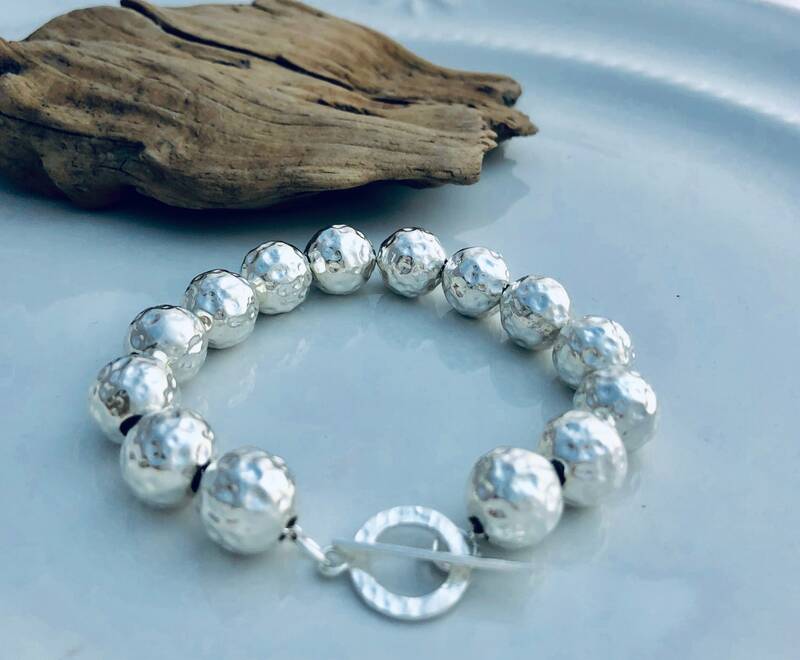 Handmade .925 sterling silver ball beads made in Italy. This is a lightweight bracelet and looks beautiful on! 1. Please choose your bracelet length from the 1st drop down menu. * When choosing size, please measure your wrist and I suggest choosing a size 1" larger than your actual wrist size. 2. Choose your bracelet clasp from the 2nd drop down menu. I finally grow to love this beautiful large bead custom bracelet. Though I didn't like the too much hammered look, I just learned to love it as time goes by. I definitely appreciate the effort done by this seller. She's easy to work with. I'll be back to buy more soon.